Service, again, was courteous and prompt. The manager told us that the restaurant has only been in operation for less than a month so training and improvements are still in progress. 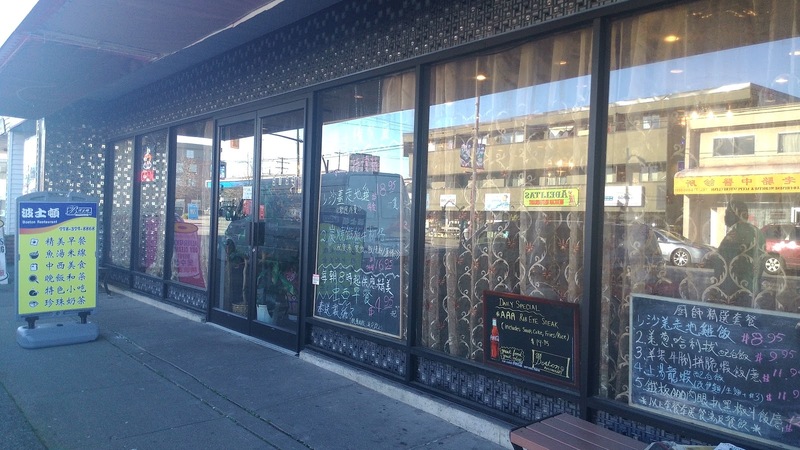 She hopes to hear from diners about the hits and misses during this soft opening to help the restaurant succeed. At $9.50, the price point for each Noodle Combos at Your Choice 百搭魚湯粉麵系列 is on the pricier side, pretty much equivalent to 鹿園魚湯米線 Deer Garden Signatures. However, that being said, for accompanied hot beverage, Boston charges 50¢ extra when switching it to cold (Deer Garden charges $1.00 extra) and for accompanied side orders, Boston charges $2.00 each (Deer Garden charges $2.75 each). 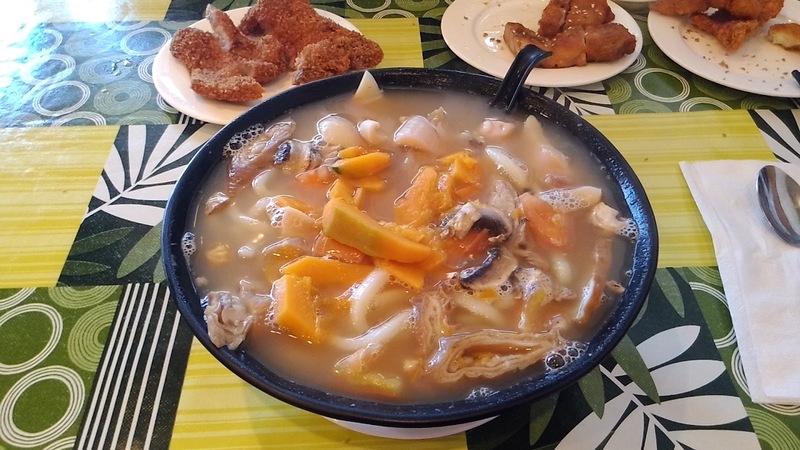 Buddha Boy had a bowl with the soup base of Original Fish Soup 原味魚湯. 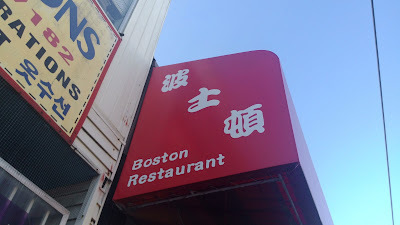 Just like Deer Garden and/or other similar restaurants, "fish broth" is never just fish broth, it's usually a combination of fish and pork, fish and chicken, or all three. In this case, while the soup had hints of fish broth, the pork broth had a stronger presence. 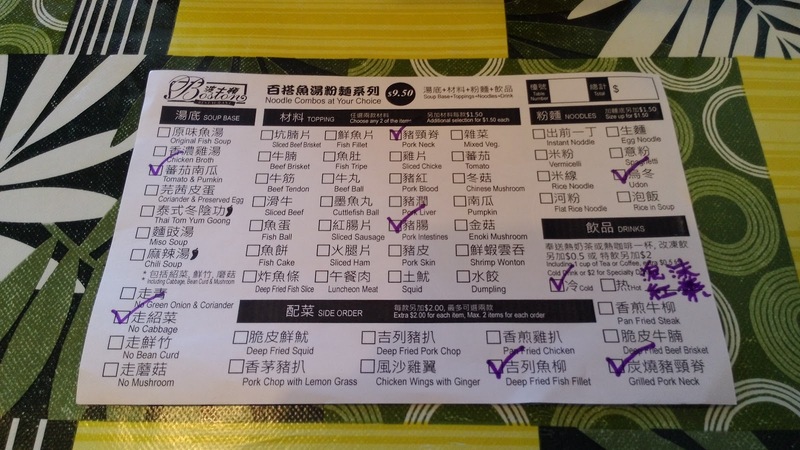 The Deep Fried Fish Slice 炸魚條 was store-bought quality, nothing much to comment on. The Slice Chicken 雞片 was tender but that was pretty much it. The Shrimp Wonton 鮮蝦雲吞 was decent in size but had minimal amount of shrimps in each pork-filled dumplings. The al-dente noodles were pretty common Instant Noodles 出前一丁. My Tomato & Pumpkin 番茄南瓜 soup base (no green onions/coriander 走青, no cabbage 走紹菜, no bean curd 走腐竹) was nothing spectacular, just a simple pork broth with chunks of tomato and pumpkin. 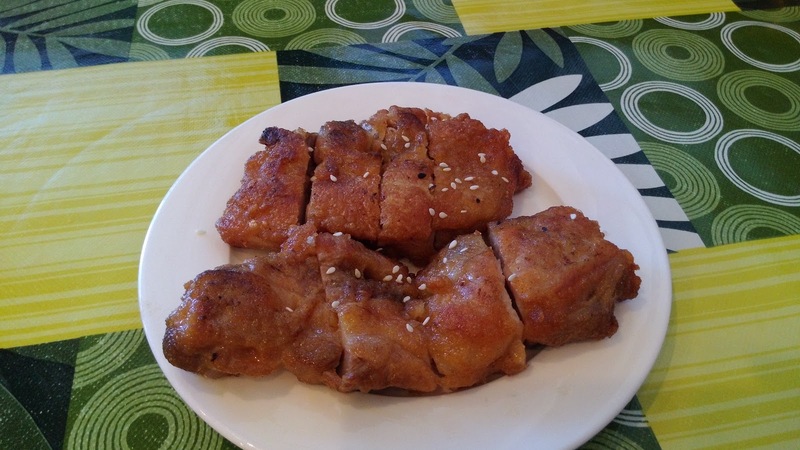 The marinated Pork Intestine 豬腸 was tender and cleaned properly with no disgusting gaminess. The Squid 土魷 was crunchy but tasteless. The Udon 烏冬 was cooked al-dente. Unfortunately, they ran out of Pork Neck 豬頸脊 for the day so I was only left with two toppings. 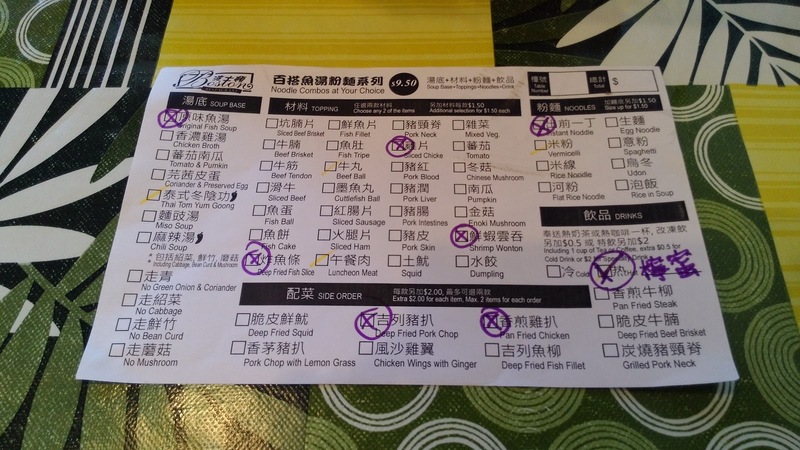 Of course, knowing us, we took advantage of the $2.00 side orders (maximum two side orders per noodle combo). The Deep Fried Fish Cutlet 吉列魚柳 was delicious! 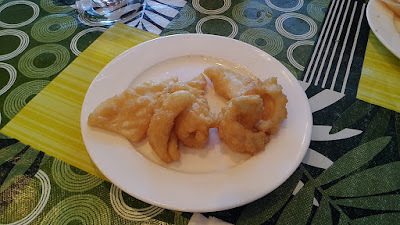 The fish, most likely sole, was thinly battered and fried to a gentle crisp The tartar dip was overly sweet but had a good consistency. The Pan Fried Chicken 香煎雞扒 had beautiful chunky pieces of dark meat pan-fried nicely with a gentle soy flavoring. This was a good bang for the buck. 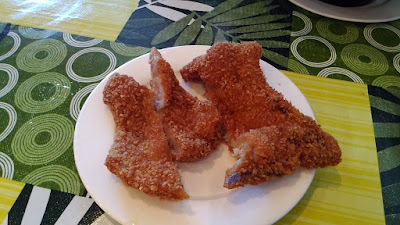 The Deep Fried Pork Chop 吉列豬扒, on the other hand, was not quite worthy. While the chop was thick, it was rather small. Gently coated with panko, the pork was moist and maintained its meaty crunch. The Deep Fried Squid 脆皮鮮魷 were generously chunky and meaty. 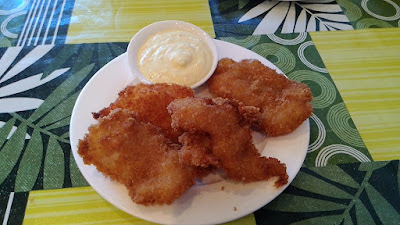 The coated batter, while could be a bit more crispy, was extremely light and delicate. It's hard to rule whether this was worth the toonie. Quantity wise, it's a miss, but it sure hit high points in quality. Similar to our first visit, drinks came almost towards the end. I had the Cold Bubble Black Tea 泡沫紅茶 and Buddha Boy had the Hot HK Style Honey with Lemon 熱檸蜜. 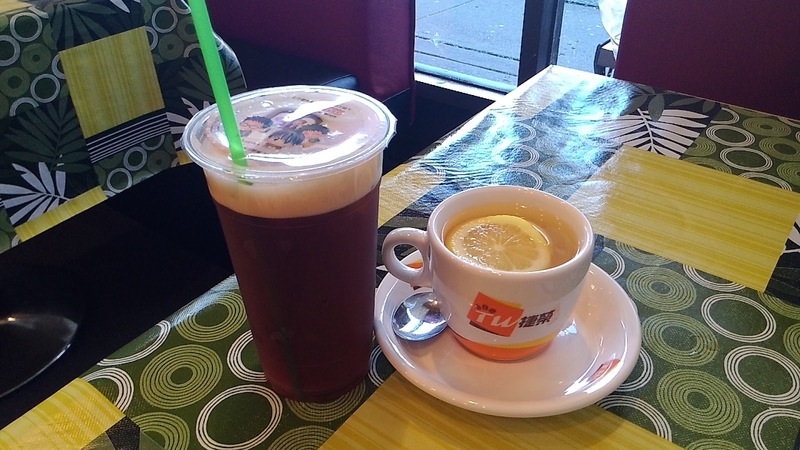 We tried a few of the HK tea-cafe food. 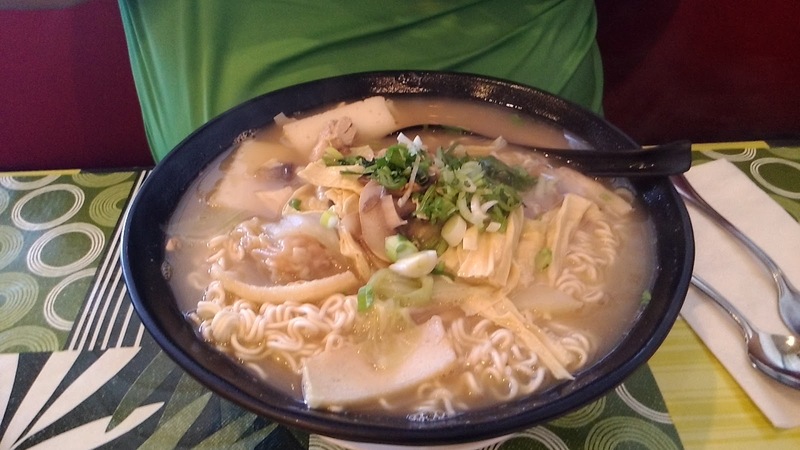 We tried the mix & match noodle soup combos. 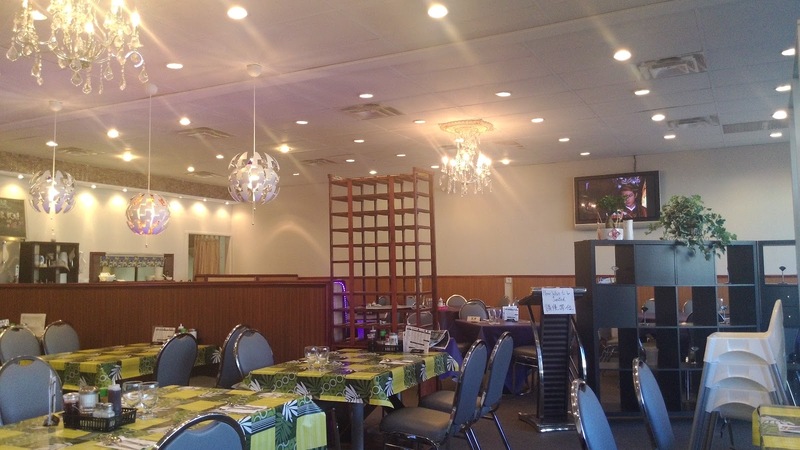 Our next visit will be to try the dinner combination dishes.